Organic cereal and granola manufacturer Nature's Path has a strong following among environmental loyalists. Organic cereal and granola manufacturer Nature's Path has a strong following among environmental loyalists. With its "Flavors That Make Your Mouth Sing" campaign, however, it is targeting women who are a bit less eco-conscious. 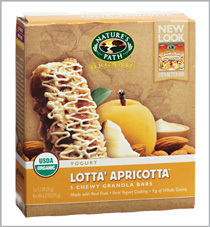 The goal of the effort, created by Zeno Group, Nature's Path's PR AOR for five years, is to bring to life the "symphony of flavors" in the granola bars, says Jessica Vitale, VP at the firm. "We wanted to capture the brand's fun and joyfulness." Zeno launched most of its PR efforts in social media with help from Vancouver-based firm Noise Digital and ad agency Ruth. Facebook, where Zeno activated a Flavor Personality Quiz revealing fans' granola bar personality type, has been a major component of the campaign. A month after launching the effort in October, Nature's Path gained 20,000 new friends on Facebook, says Maria Emmer-Aanes, director of marketing and communications at the company. She says she was surprised at how well the brand's "dark green" consumers "embraced the lighter green women coming into the circle" on Facebook. Zeno also designed a program with SocialMoms, a network of mom bloggers and tweeters, where a group of 30 members created music videos about the granola bars. The videos were uploaded to an app on the SocialMoms site, as well as some of its members' blogs. As of mid-November, they earned 1.1 million blog impressions, 1.4 million Twitter impressions, and 789,000 video plays. In addition to social media outreach, Nature's Path ran product sampling events at yoga studios in 600 markets, including New York, Los Angeles, and Denver. The Ellen DeGeneres Show was integrated into the campaign as well, with people dressed as singing granola bars appearing on air, along with a giveaway promotion on DeGeneres' website. Nature's Path will be attending the Natural Products Expo West 2012 trade show in March to continue the campaign and further showcase its products.